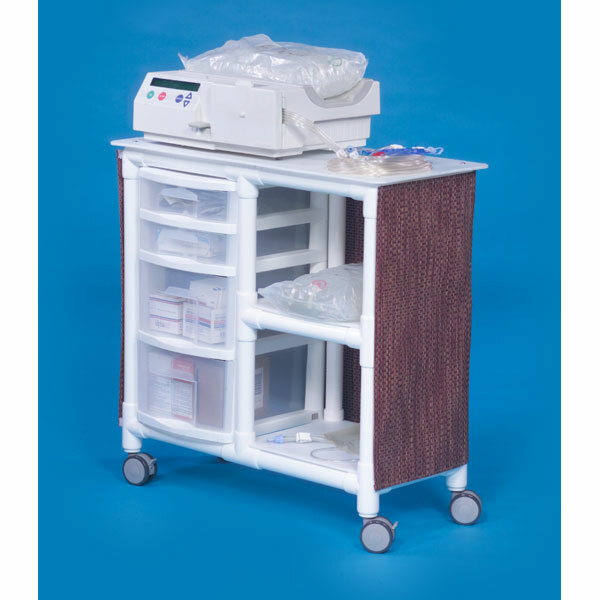 The Dialysis Cart Model DC14 is specifically designed for PD patients. It provides easy access, helps organize, and helps with transporting your dialysis supplies. The DC14 is made of schedule-40 durable PVC and will never rust. It is also extremely durable, easy to clean, and is bacterial-static, meaning that bacteria will not grow or reproduce on the cart. Warranty: 5 years on frame, 2 years on casters and fabric. Ships via UPS. Click here to see this product on the manufacturer’s website. 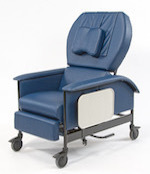 Medcor manufacturers some of the most versatile dialysis chairs available. The Medcor Model 350 is designed for patient comfort, durability, user friendly, and infection control. Model 180 is perfect for a Peritoneal program as it lays flat. The lay flat feature is what really sets this apart. It adds many possible uses for all types of treatments and comfortable sleep. All chairs feature side tables, swing out arms, locking casters and lumbar support, four 5” thermal plastic locking casters, and Trendelenburg position. 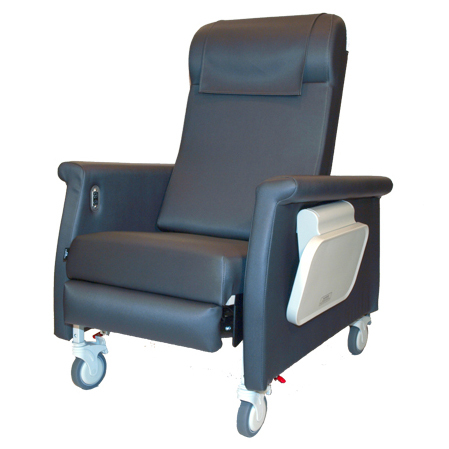 The overstuffed cushions and lumbar support give the patient the most comfortable treatment possible. The powder coated all steel frame is built to last. 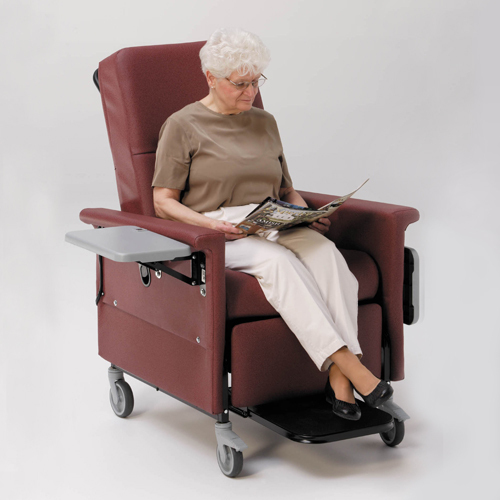 With levers on both sides of the chair Trendelenburg is attained quickly and efficiently. We use a durable antimicrobial vinyl, with many color choices that will blend with any décor whether in your clinic or home. 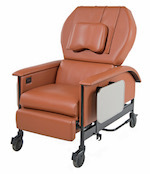 Winco offers recliners that provide the features required in dialysis centers with amazing comfort, contemporary style, and a modern form suited for the home. Coverings are available in a wide pallet of colors to match any décor and are stain resistant, easily cleaned, and easily disinfected with built-in antimicrobial properties. Model 6700 features durable and comfortably-contoured urethane arms to help protect the upholstery while providing a sleek and modern finish. Our model 6940 offers the same benefits, with the additional feature of swing-away arm construction on each side allowing easier transition from a wheel chair and enhanced cleaning accessibility. 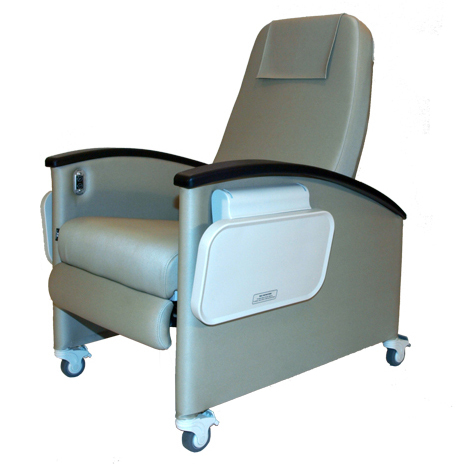 Winco clinical recliners feature a unique banding support system with no springs, wood, or other hard surface to create discomfort over time. All models are available with heat-only or heat-and-massage options.